Easy path suitable for everybody (about 2.5h, elevation gain and loss of about 250m), which allows you to discover the eastern side of the promontory, with panoramic views over the bay of Paraggi, the Abbey of Cervara and across the Gulf of Tigullio. The route also runs through the area above the valley of the mills until you reach the Mill “Gassetta” and the village of Portofino. Genoa has the largest medieval old town in Europe, enclosed by massive walls built in the seventeenth century to protect the port. The area in front of the old harbor is characterized by narrow streets overlooking the sea and from here, with the historic funicular, you will climb up towards the walls and forts built on the mountain slope. A scenic road, built in the past for military purposes, offers wonderful views of the city and the promontory of Portofino. From the village of Camogli, unique for its traditions and stories of sailors, you climbs a steep path of bricks up to San Rocco di Camogli, one of the “gates” to the regional park and its trails. From here you continue to the “Bunkers”, where you can visit the fortifications of World War II, recently restored, and then continue downhill towards Punta Chiappa (a total distance of approximately 3 hours, elevation gain and loss of about 250m), an outcrop of hard conglomerate extends towards the deep sea. 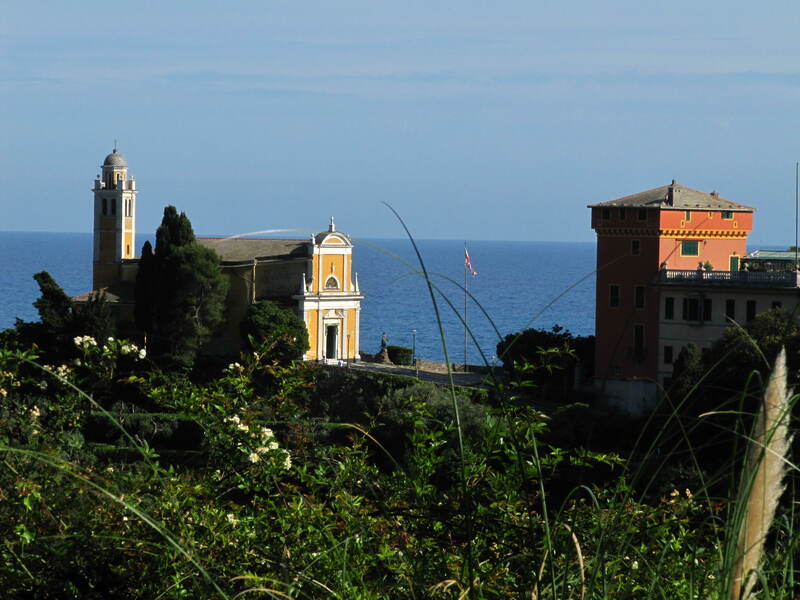 From there you can continue with the public boat to San Fruttuoso or return to Camogli.